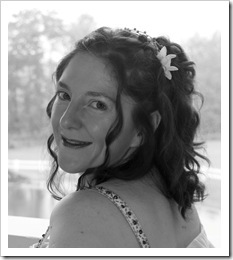 Kelly Smith, from Coloma, Michigan, is quite a prolific writer. She’s written for magazines, online, and is working on a novel. She’s also a teacher with some great tips! 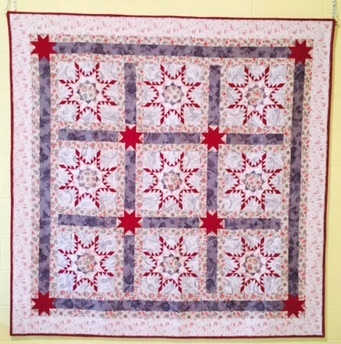 I recently signed up to teach a beginner’s quilting class at The Box Factory for the Arts in St. Joseph, MI. I wrote up my instructions and decided to have a friend be my guinea pig and test them out. My friend is an experienced quilter and didn’t need some of the nitty-gritty step-by-step instructions. Still, we did not accomplish as much as I thought we would. That experience led me to modify my approach somewhat. I hope these tips are helpful to you next time you teach someone to quilt, or to make a new quilting pattern they haven’t tried before. 1. Allow plenty of time. If you can complete the task in five minutes, allow fifteen for a beginner. If you have a large class it can take time for the new quilters to catch up to the others and you want to make sure everyone has learned one task before moving on to the next. 2. Provide detailed instructions, even for common tasks. Your students may not know how to do many common quilting tasks. For example, when I wrote my first set of instructions, I said, “Make 8 half-square triangles.” Upon review I realized that a new quilter would have no idea how to do that. So I had to write instructions for it and include those in the class notes. 3. Use correct terminology, but go easy on the jargon. Like every hobby, quilting has its own language. There are many words and phrases that you just don’t use much (or at all) in everyday life if you are not a quilter. Fat quarter, rotary cutter, scant quarter inch – these are all mysterious words to the non-quilter or new quilter. When you use them, make sure to explain them. 4. Have a sample of each step in the process. Of course you’ll have a sample of the finished product, whether that is a specific pattern, or a quilted item made using the technique you’re teaching, but you also want to make samples of each step along the way. For example, if you’re teaching how to do fusible appliqué, have some shapes traced onto the fusible, some pressed to the back of the fabric, and some fused onto the background fabric. You might also want some that have already been stitched down. 5. Pack everything you could possibly need. As I prepared for my class I kept thinking of additional tools I could bring that would help my students work more efficiently or more precisely. Some things I don’t normally pack, but which I thought would be helpful were: a ruby beholder for demonstrating value and a Teflon pressing sheet for the fusible appliqué. New students probably will not own these things, but you can suggest them and if they decide to continue quilting, they might want to invest in them. 6. Allow for student questions and feedback during and after the class. Allow enough time during each segment of the class for people to ask questions. Give the students leeway to ask anything. If they are new to quilting remind them that there are no quilt police and there is no such thing as a stupid question. As for feedback, encourage students to rate you (either in person or anonymously) so that you can improve as a teacher. Mistakes happen, and it’s not the end of the world. Often a “mistake” in quilting can be resolved in a way that makes the finished product even better. For example, my friend somehow managed to sew a pucker into the center of a sunflower she was appliquéing. Instead of taking it apart (which is always demoralizing! ), I suggested she stuff the flower center so the little pleat would look intentional as the flower center puffed up. She liked that idea and it worked well. 8. Encourage students to experiment. 9. Be patient and cheer them on. In every class there will be some people with a bit more experience or who catch on more quickly. There will be people who want to move beyond the basics and go their own way. Do your best to inspire these people by showing them more advanced patterns or techniques they could try, or allowing them to make a small sample where they experiment with techniques. Knowing that there is someone nearby to ask questions of can embolden some students and before you know it, they’re off doing their own thing and creating beautiful art. Kelly Smith is the author of Open Your Heart with Quilting: Mastering Life Through Love of the Patches (Dreamtime Publishing 2008). 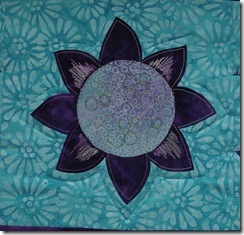 She also writes about quilting for Examiner.com, and was published in Quilter’s Home magazine’s November 2008 issue. You can read her blog at http://www.redheadedquilter.com. I put her book on my wish list! Thanks, Caron! Great article. I am currently volunteering teaching 13 year olds how to quilt. We are making a miniture seasonal quilt and I was going to use steam a seam to help with the applique. Your hint about the applique sheet was right on, I got right up and packed it in my supplies. Thanks for saving me from a glue disaster. I am offering a free quilting poster on my website, http://www.beginners-quilting.com. I have found it saves me ton of time.